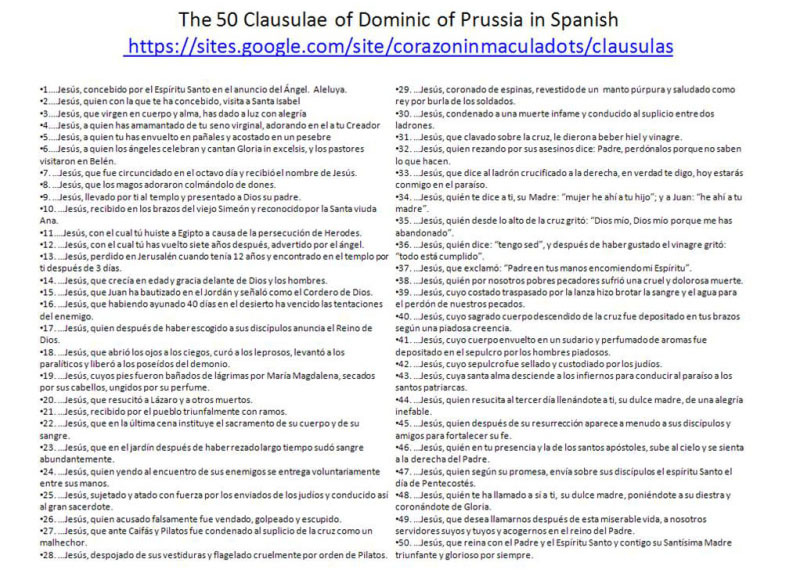 For those interested in the Original Rosary 150 but require more evidence, the following research has been compiled by the editor of the Sedevacantist website rosariofatima.wordpress.com. 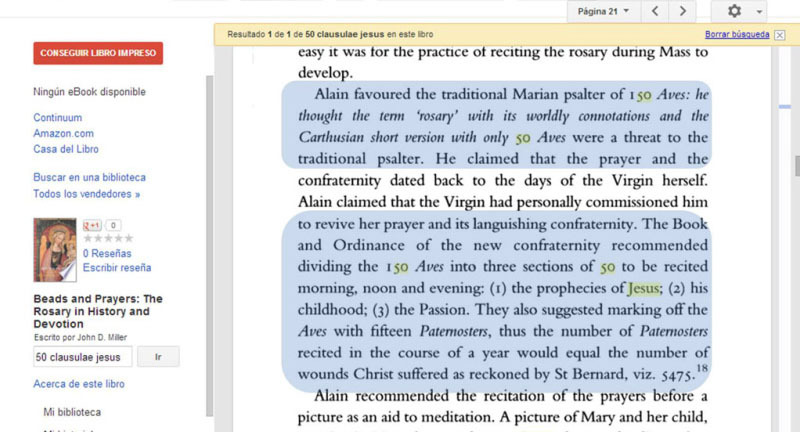 It proves our original 150 form and chronicles the gradual changes that eventually led to the Novus Ordo's heretical and ineffective pentagram rosary commonly used today. You can visit the website by following the link below. Let me introduce to you Henry of Kalkar. 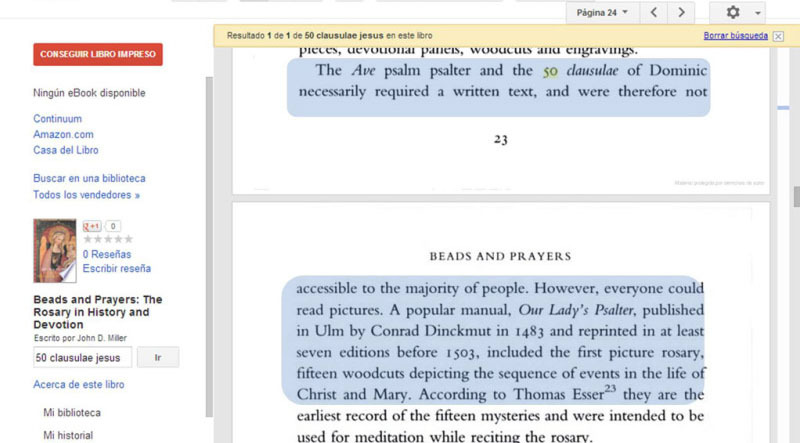 At that time Our Lady’s Psalter and the Rosary were not the same thing. 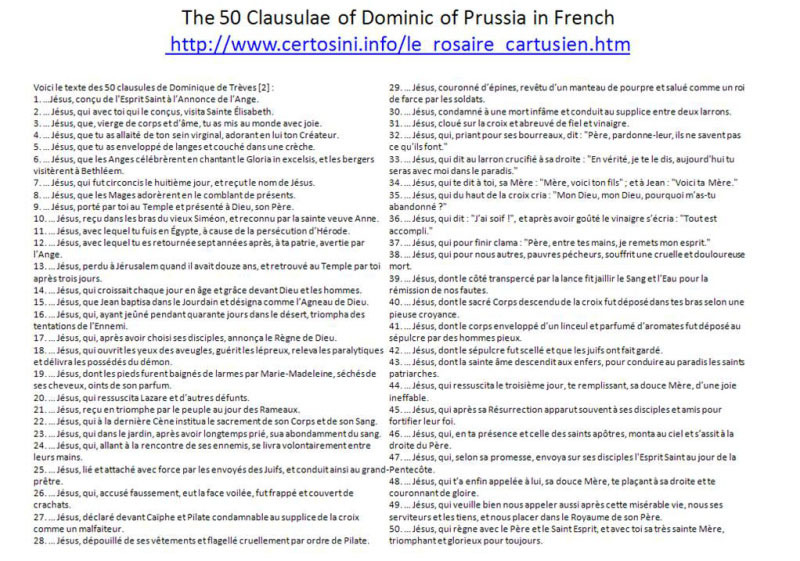 By the way, let me introduce to you Dominic of Prussia. 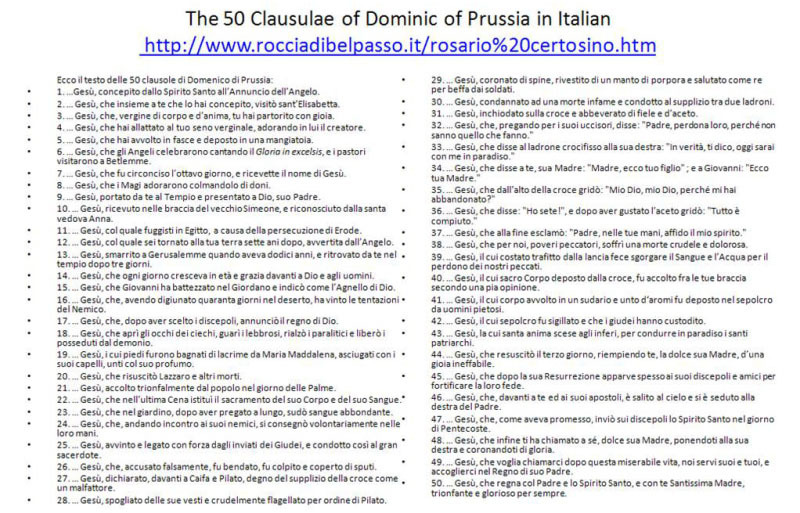 The 50 clausulae are related with the biblical Jesus. More of this later. 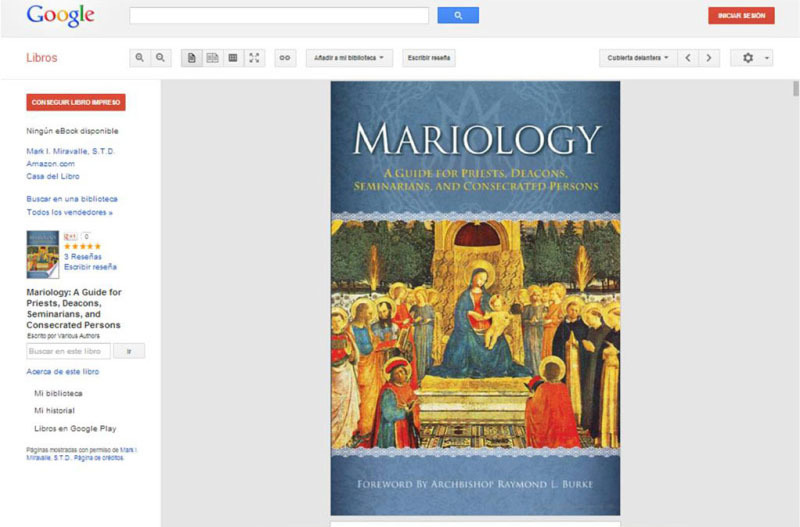 Thanks to Alan’s preaching, Our Lady’s Psalterium became more popular, on this book they were generous with him. In other works, he is considered a crazy guy. 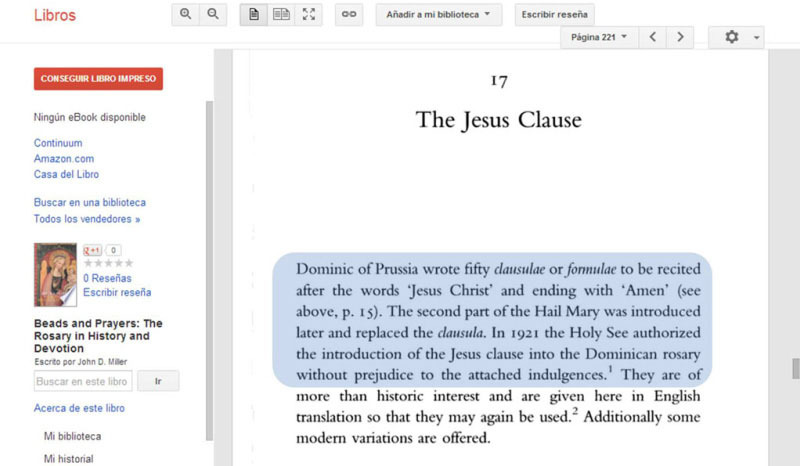 James Sprenger had permission from the Holy See. 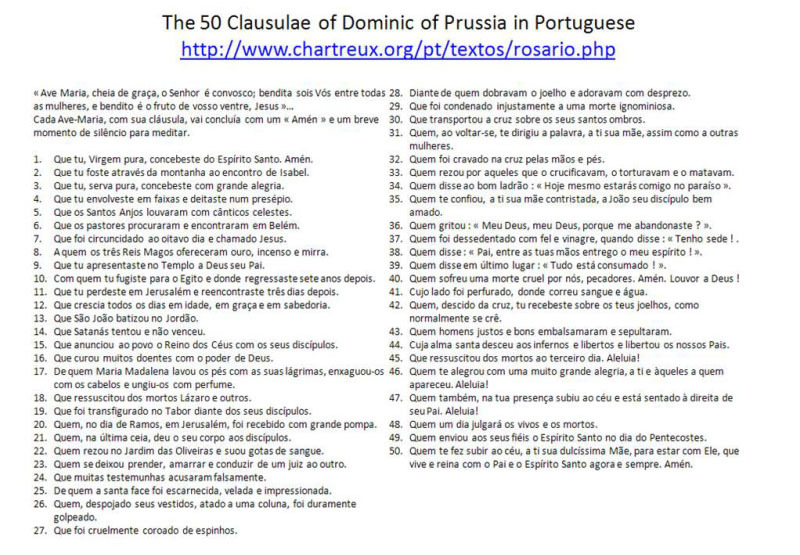 On these 6 slides the 50 jesus clausulae will be shown in English, Italian, Spanish, German, French and Portuguese. 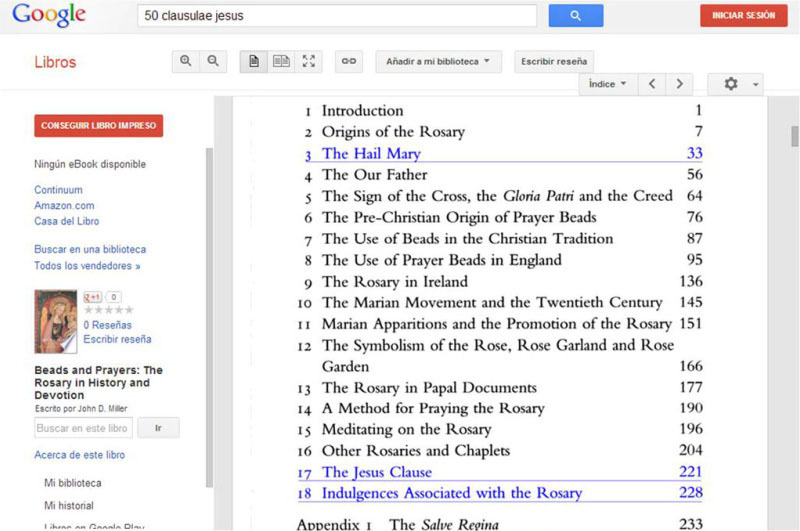 Let’s check the second book: Beads and Prayers: The Rosary in History and Devotion. The front cover was not available. 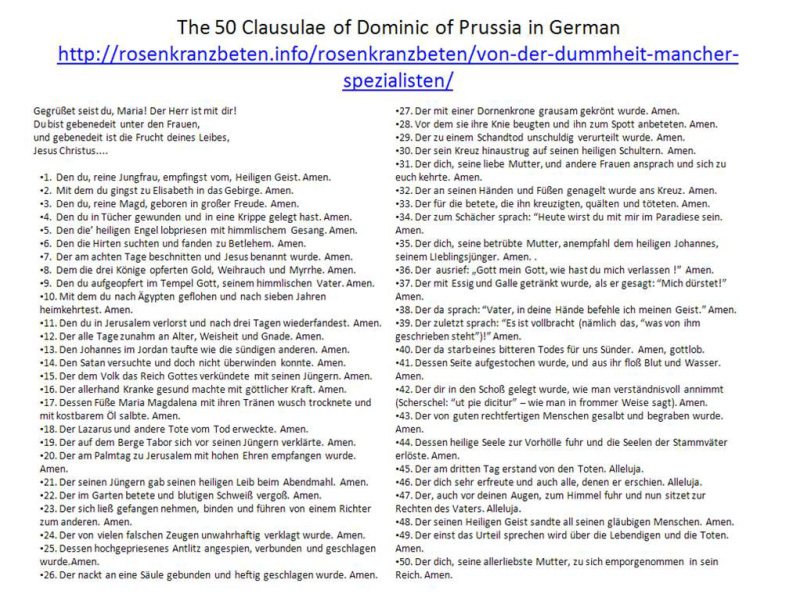 Dominic of Prussia is on the stage again. 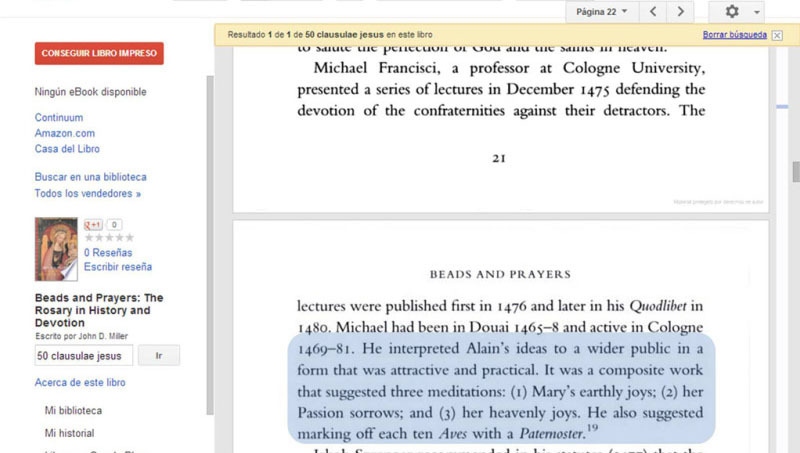 According to this book, this prussian guy and his colleague Adolf of Essen were influenced by the Devotio Moderna, a pro-biblical mystic movement. 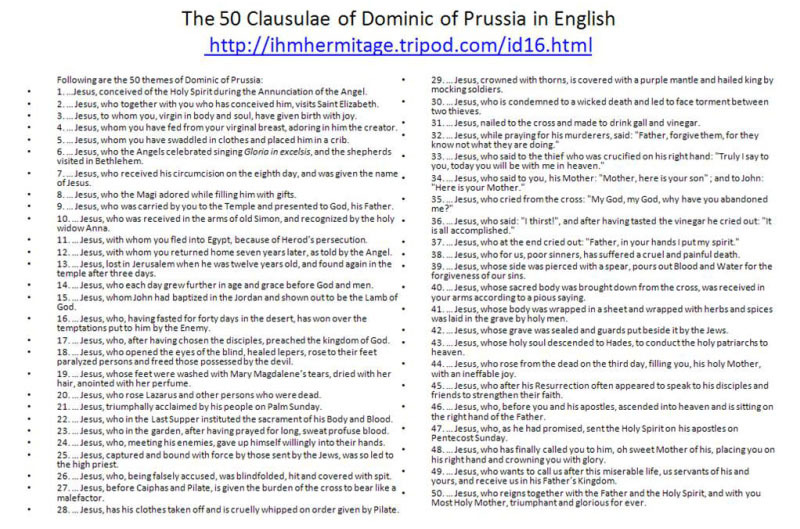 However, you will read below the same translation with my commentaries included (in parenthesis). I made some changes to make it more legible in English. The guy spoke for himself. 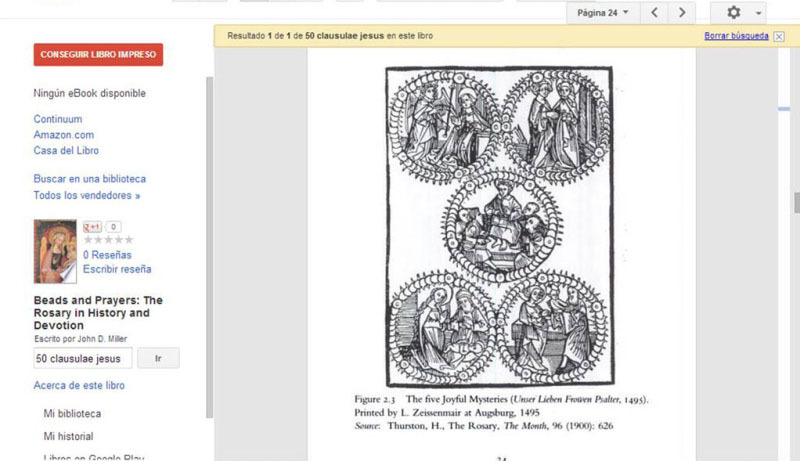 Now we see Our Lady and the Virgin Mary are not the same. Now you see the monks working together promoting that practice. Properly speaking, they changed the devotion requested by Our Lady and transformed it into a Jewish Mary/Jewish Jesus prayer. But they were not the first ones suggesting this. 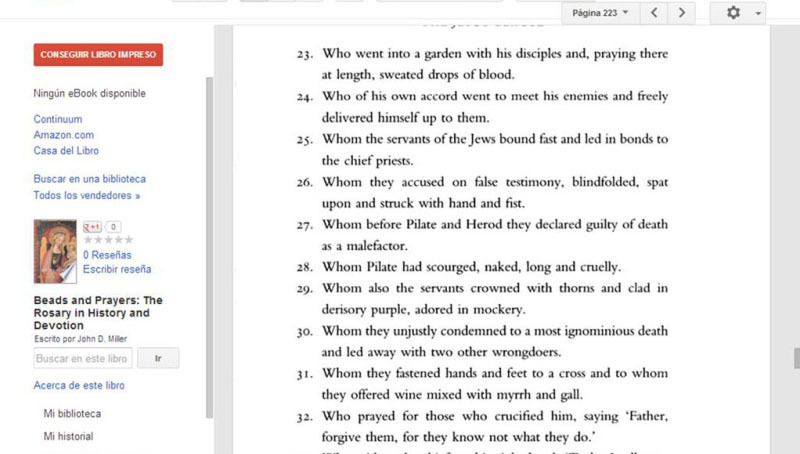 That’s what happens when monks and nuns are allowed to read the bible inside their monasteries. Ah, what can I say? 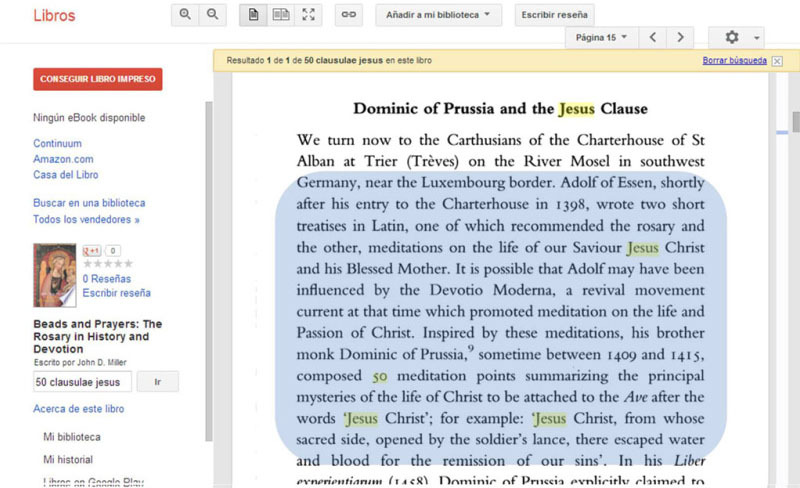 Bible-mania has been a disaster for Catholicism. You already have this one posted on the webpage. The whole idea about the mysteries is a human creation, not divine revelation. 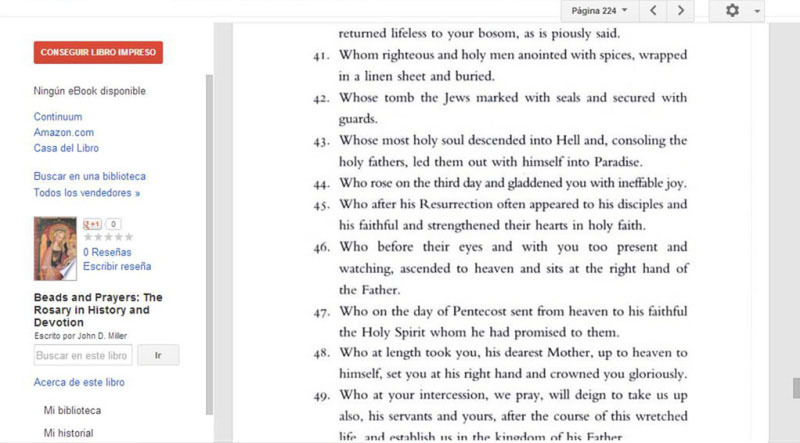 I added this picture to show everyone else that the baby Horus-Jesus is not a Catholic devotion. 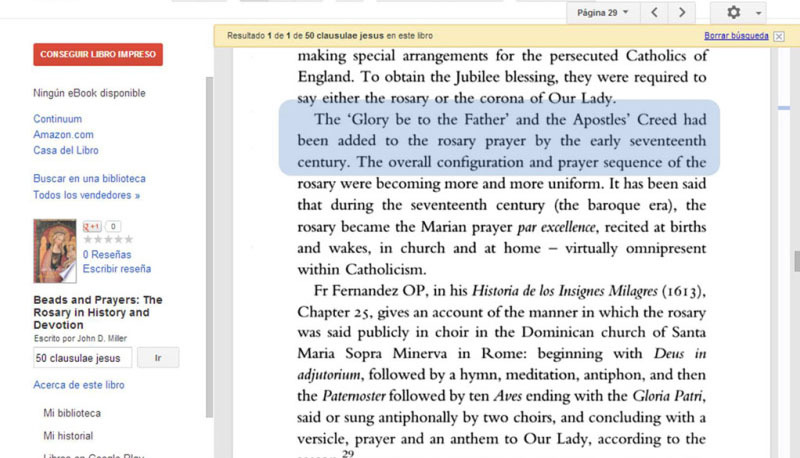 There’s a difference between Our Lady’s Psalter and the Carthusian Rosary. The changes were imposed. Now we realize how the mysteries came up. Jakob Sprenger and Michael Francisci working together. 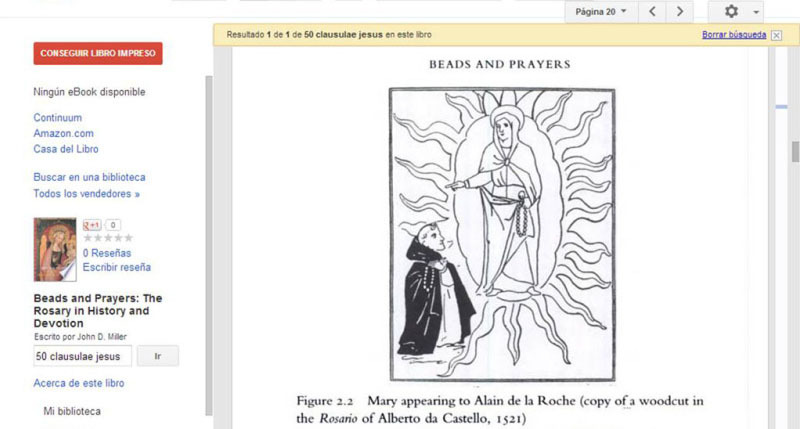 Actually the Rosary 150 protects us from attacks of the dark side guys, including the jews. I have experienced that. 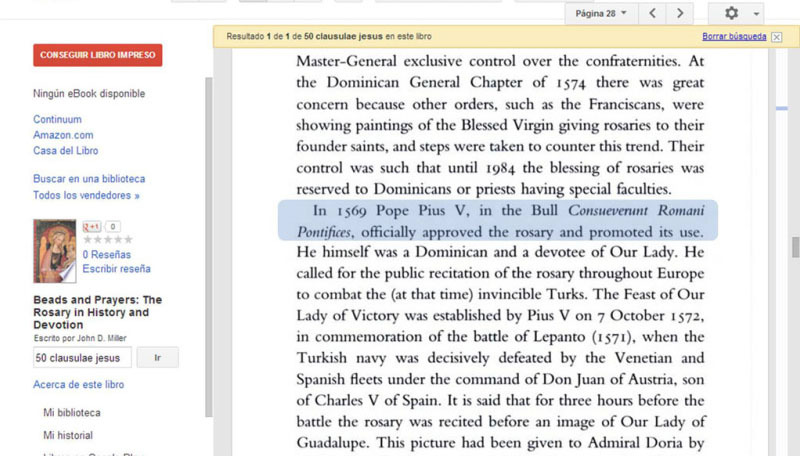 The bull mentioned was written on 1479, unless they’re talking about another one. What does Martin Luther have to do with this? 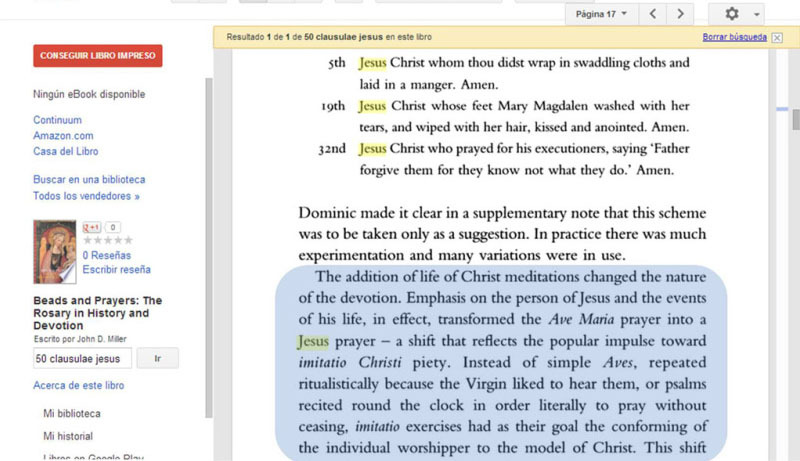 Maybe the indulgences debate was a cover for the Reformation. 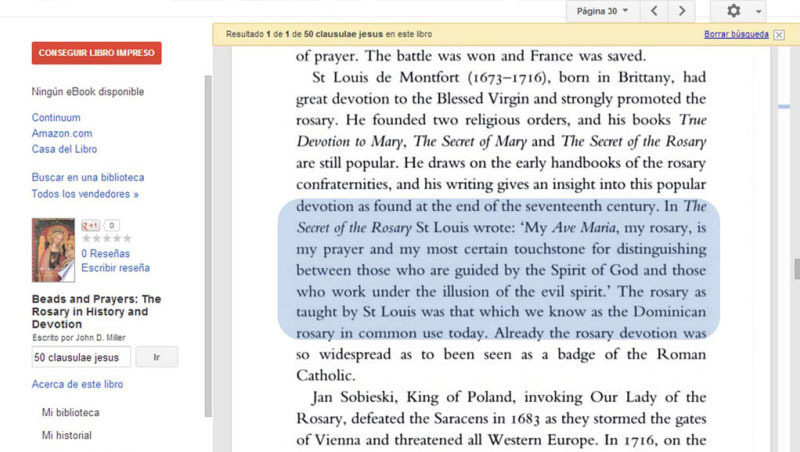 After the changes (inserting the our father prayer and linking the Rosary with the bible and its hero, the heretical Lord Jesus/Jewish Messiah), these guys were ready to propagate the practice among the people. The five joyful mysteries. Nothing more to be said. 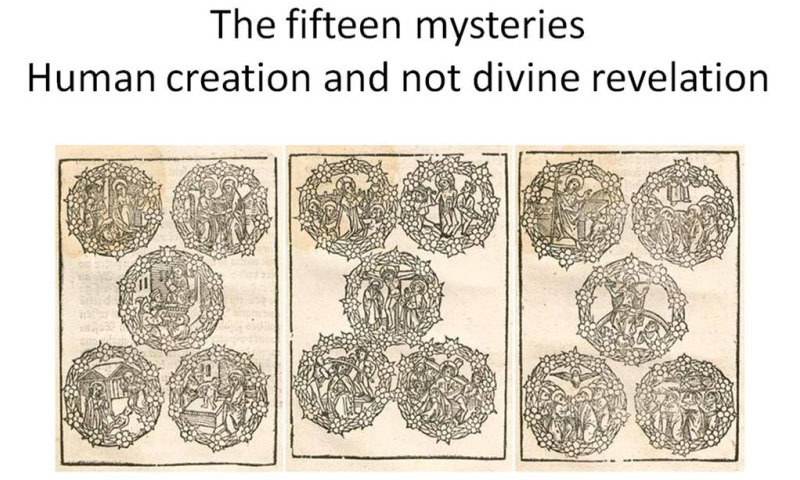 The five glorious mysteries. Nothing more to be said. 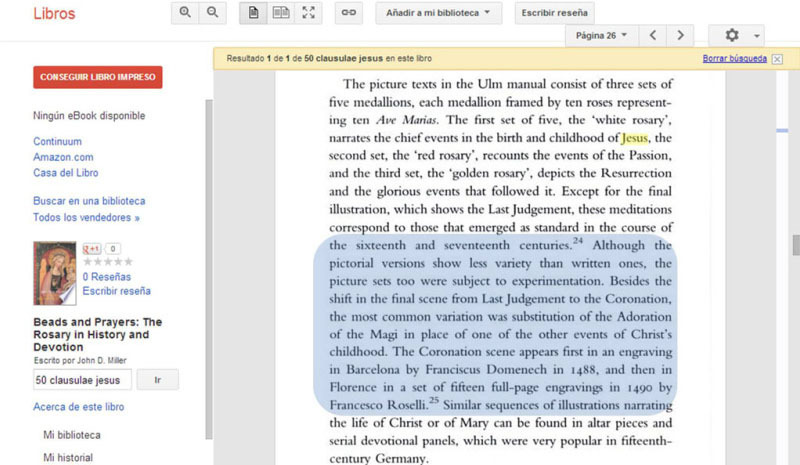 They admit the picture Rosary was not about Our Lady, but it was focused on the bible entirely. 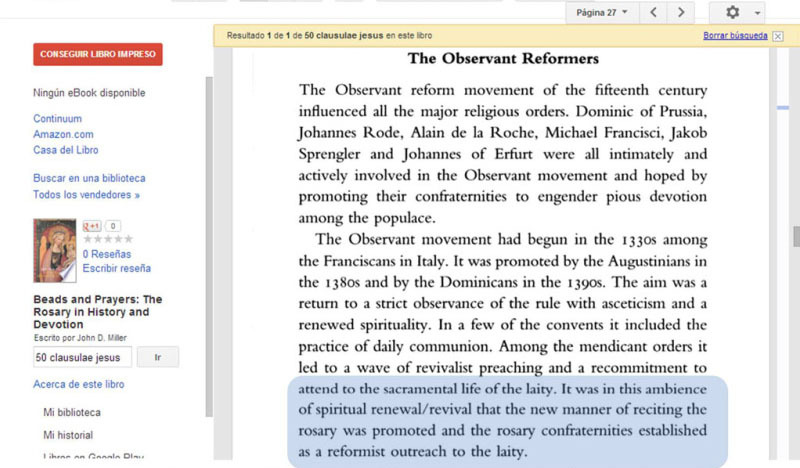 The term “Reform” always sound suspicious when is related to Catholicism. From now on the “reformers” have a licence to preach. 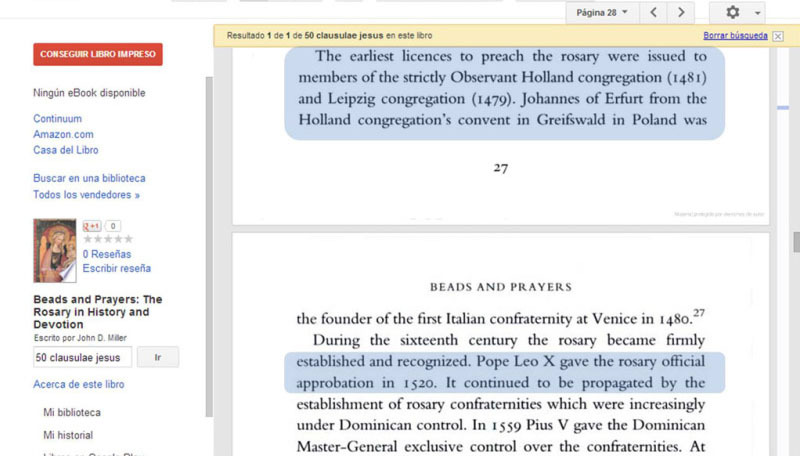 By the way, three popes has written something about the Rosary before Pius V: Sixtus IV (Bull Ea quae ex fidelium May the 12th 1479), Leo X (Bull Pastoris aeterni October the 9th 1520) and Clement VII (Bull Etsi temporalium cura nos May the 8th 1534). I have those. It’s interesting because only Urban VIII surpasses him: he wrote 169 bulls, but he needed 20 years and 358 days in office to do so (about 8 bulls per year). 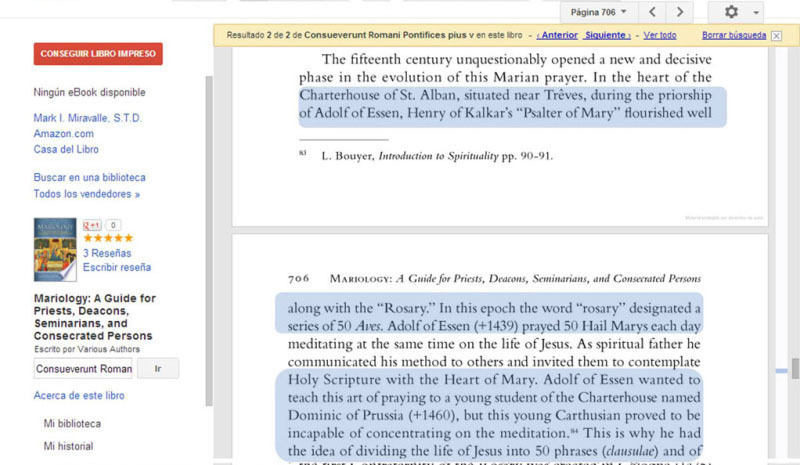 So the “Glory be” and the Apostle’s Creed were not part of the original Rosary. 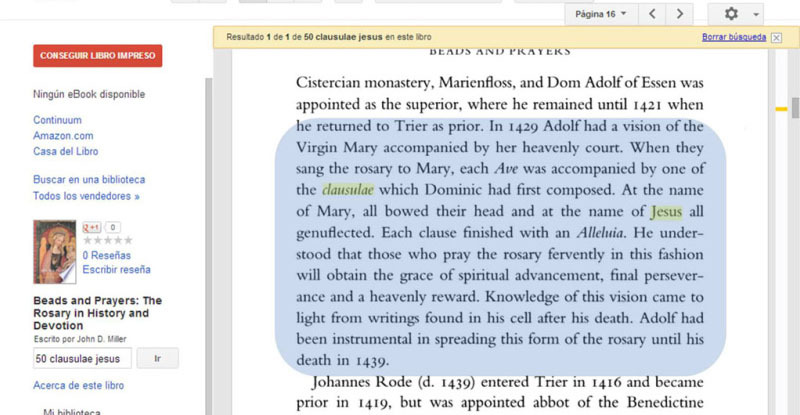 The Dominican Rosary has 164 beads (150 Hail Marys and 14 Paternosters, the 15th one is in the pendent). 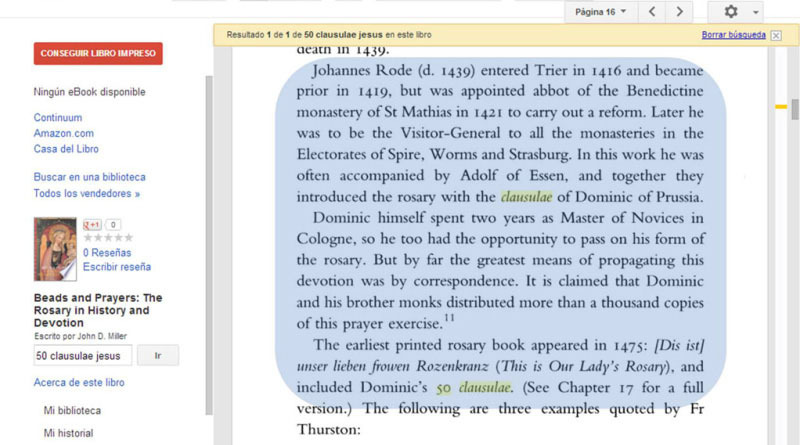 Why does the “Holy See” allow to pray the Carthusian Rosary and not the Original Rosary? Maybe they thought it was impossible to recover, or nobody would care about it. 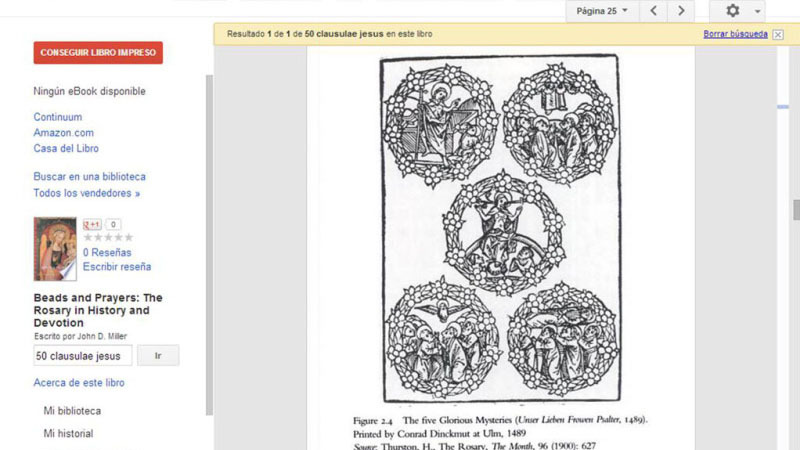 I took a picture of this page and included it on this powerpoint file in order to show there are books dealing with this issue. 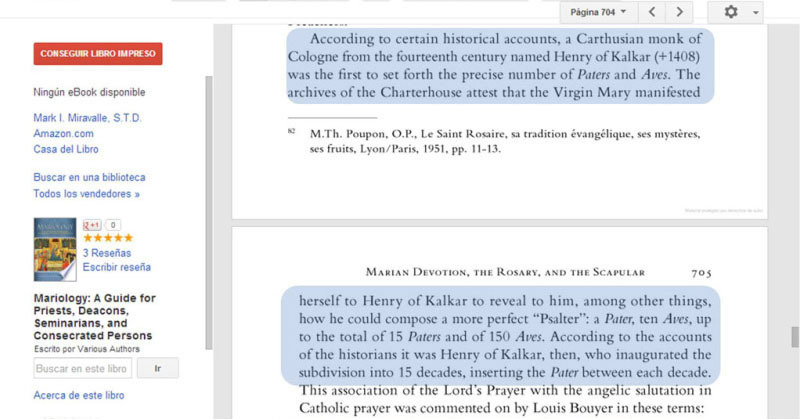 When you speak about the changes of the Rosary to the average “catholic” they deride you as nuts. Anyway, the whole list in 6 different languages are included on this file. 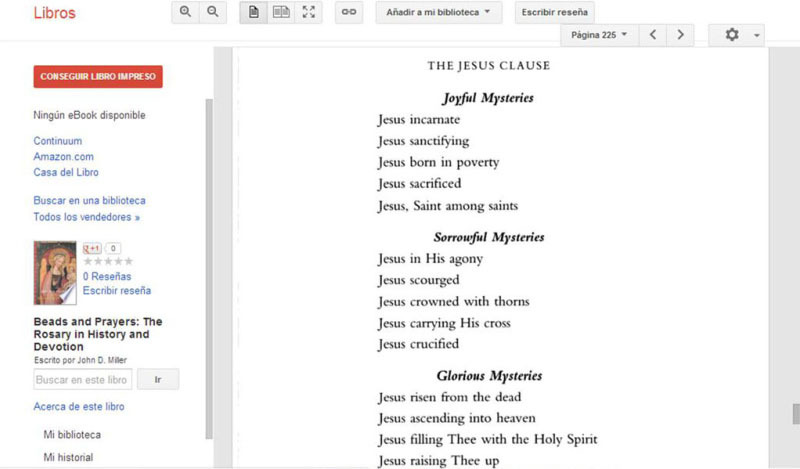 Some modern examples of the Jesus Clausulae, all about the Biblical Jesus.